In 2007, Money magazine ranked Eastchester number 27 in its “Top 100 Best Places to Live” in the U.S. It’s easy to see why. 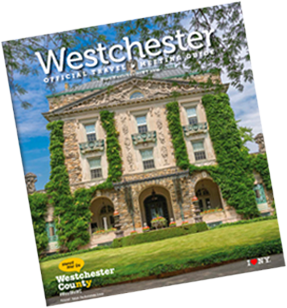 Located just 20 miles north of New York City, the Town of Eastchester, which includes the incorporated villages of Bronxville and Tuckahoe, offers its 19,000 plus residents the best of both worlds. It has the urbane sophistication of the city—paved sidewalks, a plethora of shops (including those in the Vernon Hills Shopping Center on White Plains Road) and restaurants—coupled with the tranquility and sought-after amenities of the suburbs—manicured lawns, quiet neighborhoods and award-winning schools. Reason to celebrate: The town will commemorate its 350 years as a community in 2014. Shopping: The Vernon Hills Shopping Center, anchored by Lord & Taylor, is a popular destination, and the proximity to Route 22 gives visitors lots of retail options. 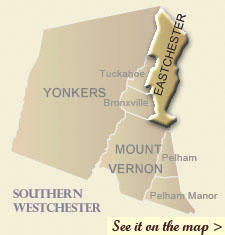 The Eastchester Arts Council regularly presents cultural programs including concerts and exhibits.